NAMM 2018 (#namm2018) will be held January 25-28 at the Anaheim Convention Center. 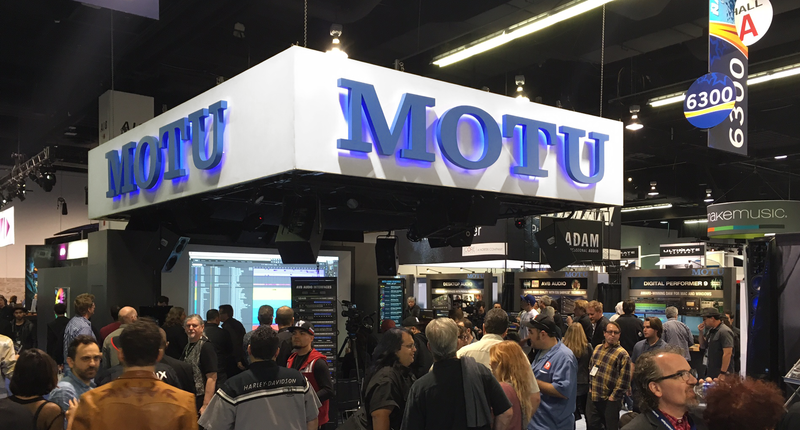 The MOTU booth (#15306) holds center stage on Level 1 of the brand new, just-opened North Hall, so be sure to swing by and check out the new audio technology neighborhood established there. MOTU will be running a full schedule of presentations each day, featuring in-depth clinics and special guests you won't want to miss. 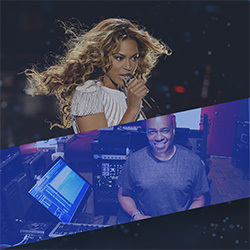 Kevin "Kwiz" Ryan has been Beyoncé's tour programmer and tour recording engineer since 2006. As he prepares for B's next world tour, Kwiz is also currently in rehearsals in LA for her headline show at Coachella this coming April. Kwiz is also an accomplished musician, composer, producer and studio engineer, having just produced and released a new solo album titled "Black Light Chronicles" — done completely in Digital Performer, by the way. Come hear Kwiz talk about gear, life on the road, his tricks of the trade, and much more. Richard Marvin is a composer for television and film based in Los Angeles, California. Starting out as an A-list synthesist in the studios of Hollywood in the 80's, he is now one of the most in-demand composers for TV and film. Having experience in a broad range of genres, from 3 Ninjas to Six Feet Under, U-571 to NBC's hit series Grimm, his versatility across musical styles is truly unique. 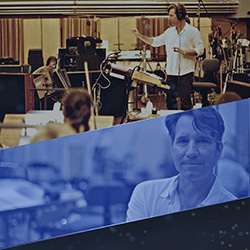 Rick's Digital Performer expertise spans his entire scoring career in Hollywood. Rick will demonstrate how he goes about scoring an episode. 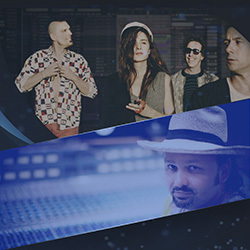 Carlos "El Loco" Bedoya is a Grammy-nominated songwriter, producer and engineer with credits ranging from Rihanna and Missy Elliott to Weezer and Mick Jagger. Carlos just mixed tracks for the Brazilian Girls, a funky and eccentric dance music group from NYC, and released a video series showing his in-depth mixing techniques for their single “The Critic”. 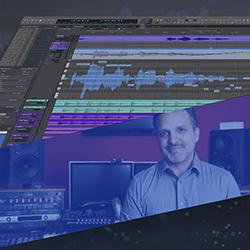 Carlos will share this mix with us at NAMM, offering his expert insights into the process and detailing how Digital Performer is so critical to his process. David Das is a prolific composer, music producer, and songwriter based in Los Angeles. 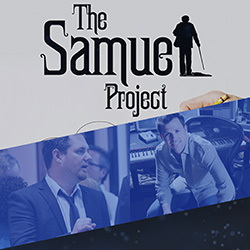 His experience covers the range from feature films, TV shows, cartoons, commercials, trailers, and other media work, over to modern music production, choral and orchestral writing/arranging, and more. David is a long-time Digital Performer expert and beta tester who has shared many of his recent projects with us at recent NAMM shows. This year, David will bring us new tips, tricks and insights you won't want to miss. 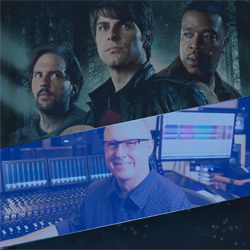 Joey Newman (ASCAP) is an Emmy®-nominated, third generation film and television composer of the famed Hollywood musical Newman dynasty. A drummer, conductor and orchestrator, Joey has worked across the media spectrum including orchestrating for his cousin Randy and conducting alongside Michael Tilson Thomas and John Williams. 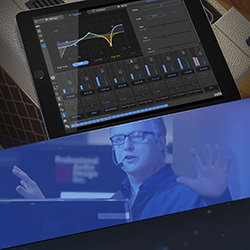 With his friend and co-composer, Matt Hutchinson, Joey will discuss technique and efficiency while collaborating remotely with Matt on a recent film score using DP9. Magic Dave has been with MOTU longer than we are willing to disclose. His depth of knowledge of All Things MOTU knows no bounds. With MOTU as his day job, Dave also spends a great deal of his own time writing, composing, recording, mixing and engineering for himself and a long list of clients and collaborators. Dave recently published "The Power in Digital Performer" (Hal Leonard, 2012). 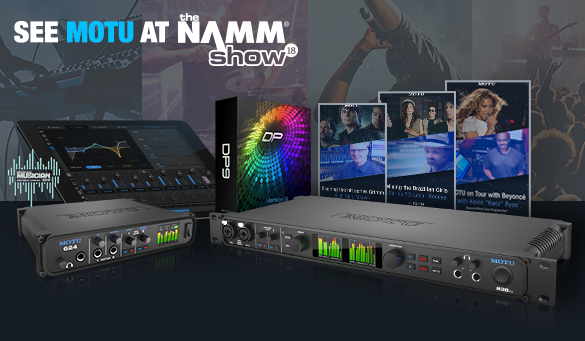 At NAMM, Dave will give in-depth demonstrations of the exciting new Touch Console™ mixing software for tablets and smartphones.